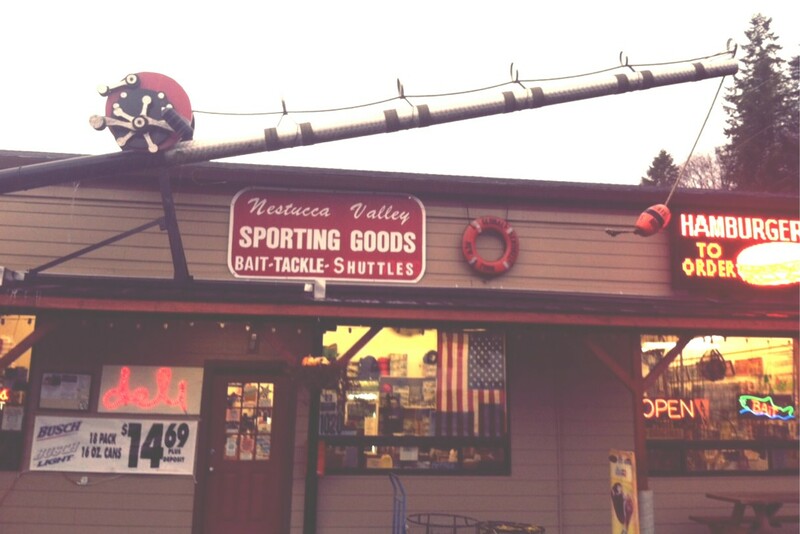 Welcome to Nestucca River Outfitters (NRO), The Original Nestucca Valley Sporting Goods! We are open from 6:00 A.M. until 5: P.M. & Till 4: Sunday Winter season ( Springer season 5.30AM to 5:00 PM Sun - Thurs. 5:30 AM - 6:00 Fri.- Sat. ) 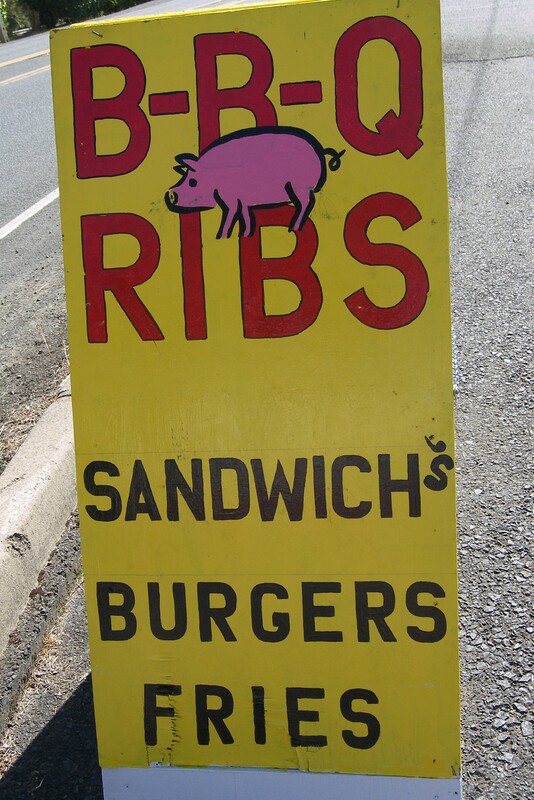 seven days a week and we are located 20 minutes South of Tillamook at the junction of Hwy.101 and Hwy. 22 in the town of Hebo, Oregon. Our location is central to all of the local bays and coastal rivers in Tillamook County and the surrounding area which includes Tillamook Bay, Nestucca bay, Nestucca River, Little Nestucca River , Trask, Kilchis, Siletz, Wilson, Miami and Tillamook rivers where some of Oregon's finest Chinook (King) salmon and steelhead fishing takes place. We offer guided drift boat fishing trips utilizing fly fishing or bait and tackle techniques on all our local rivers daily with the top guides in the area. We are able to accommodate large groups of 8 or more anglers with advance notice. We also offer guided half day Crabbing or sight seeing trips. There are a number of lakes in the area that are stocked with trout year round that make for fun fishing for kids and adults alike. After 15 years Laurie and I have decided that it’s time to retire and move on. So having said that we would like to announce that we will be actively attempting to sell the store. 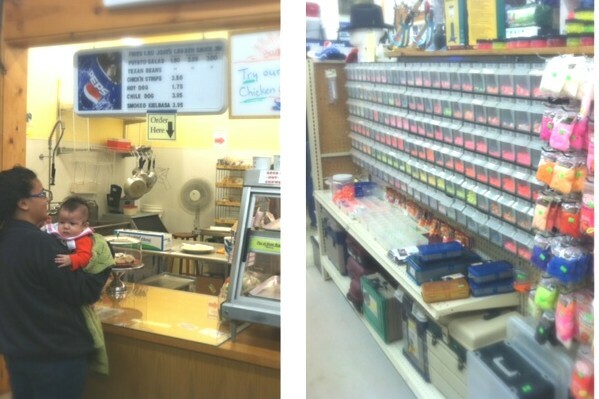 It’s our hope that we can find a buyer that would like to continue on with the fishing store and deli as we really believe the community needs this service. We want to thank all our many great customers that we have enjoyed knowing and associating with over the years. It’s been a great experience and we have gotten to know some of the best people on the planet. Rest assured that we will be here for as long as it takes to sell the business. Please, questions will be answered only to seriously interested and qualified persons of interest. In other words please don’t everyone walk through the door and ask how much are you asking? If you are seriously interested we will be glad to set up a time where we can sit down go over any questions you might have. Below is a copy of the add that is now running is some outdoor magazines. See Pictures of the business at the bottom of this page. This is a super opportunity for a family-owned business on Oregon’s beautiful north-central coast. 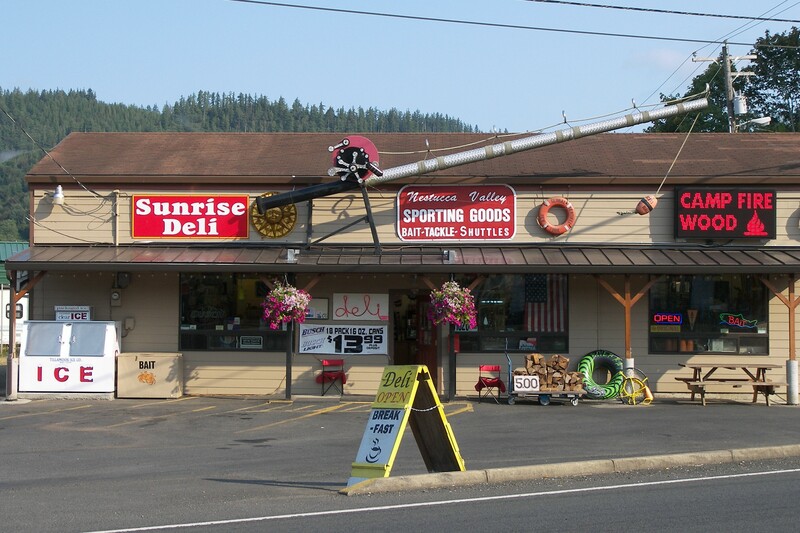 Very busy sporting goods store, river shuttle service and exceptional deli. 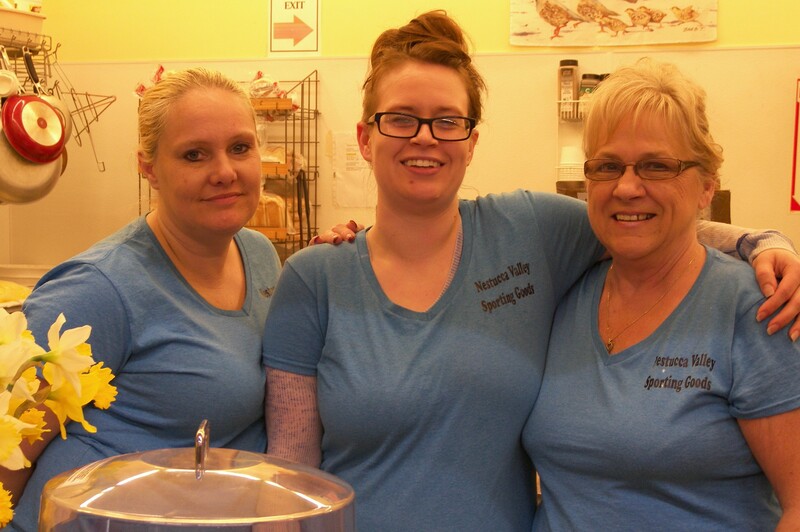 It’s a recently completely remodeled store and kitchen. Located in the heart of one of Oregon’s fishing and hunting Mecca at the intersections of (Valley Junction) Highway 22 and busy Oregon Coast Highway 101. Strategically located near eight rivers, three lakes, three bays and the ocean. This area offers exceptional opportunity for outdoor recreation. High volume traffic, which invites fishermen, hunters and tourists alike, including camping throughout the area and ATV riding at Sand Lake. Year-round fishing for salmon, steelhead, and trout in the rivers and lakes nearby. The location also offers access to great tidewater and bay fishing, crabbing and salmon and bottom fishing in the ocean from the beach in Pacific City, home of Oregon’s only Dory Fleet. Will carry a contract or lease on building and property. Serious inquiries only, please. Before the kitchen Closes ! We run shuttles everyday. Come in and bring a key or we will discuss alternate ways to get your rig down where it is waiting for you at the end of your trip. You'll be able to quickly get in the river and start your trip. No running double rigs and trying to find a parking spot. Our experience has been going on 12 years. Bring some $ ones for parking in certain areas. 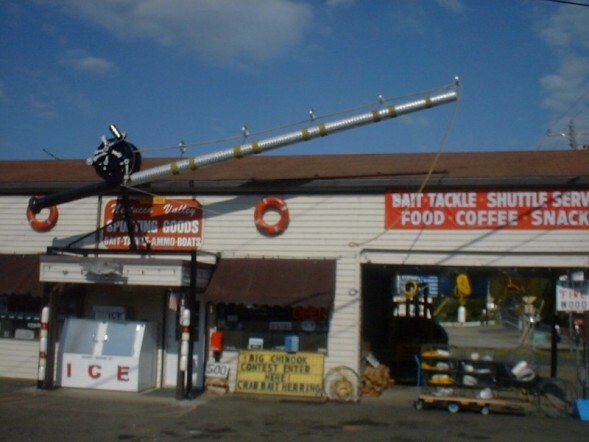 We carry bait, tackle etc. along with breakfast items or even sandwiches to take. If you do come early morning before opening , we do have a box outside the door. 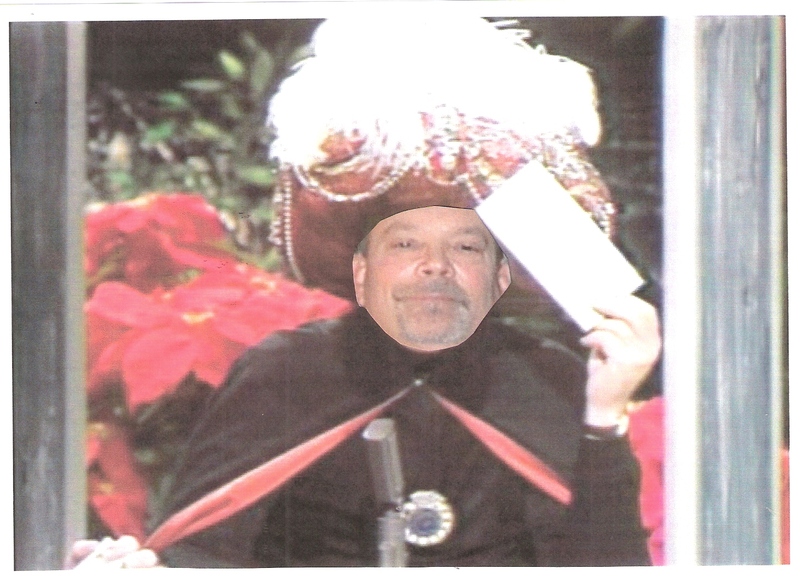 Fill out the envelope with all info. tags. Be sure to check it out. Like us on FB as we are working to be available. 04/11/19 We got water! and lots of it. Muddy river at 9.09 ft. This will clean out the debris and get ready for the Chinook Springers and summer steelhead. Friday and Saturday are to be a rest from the rain. The river will come down and hopefully green up a bit. We will see what to make of the river as things calm down. We still had fishermen Wednesday, float from up high. The river was at 7.13 and had a nice green. If you can't fish the river Hebo Lake is stocking this next week. Hebo Lake has a kids event the Saturday the 20th of April. Be sure to bring the family! 04/04/19 Nice weather for catching Steelhead. Overcast days and some rain are turning out to be a good combination. River is due to rise with April showers bring Fish and May Flowers! Soon we will see spring Chinook and summer steelhead. Till then we are still seeing some winter fish. Hebo and Town lakes have been stocked also. Get the family out for some fun!! 03/23/19 Hebo Lake open for trout. We are stocked for the lake with worms, lead, lures, power bait & fishing poles! Gate is open! Last week snow and this week it is all gone and folks are fishing. See the stocking schedule on the calendar page. Good rain has brought fish and fishermen out to fish the river. Sand shrimp and eggs are the popular. 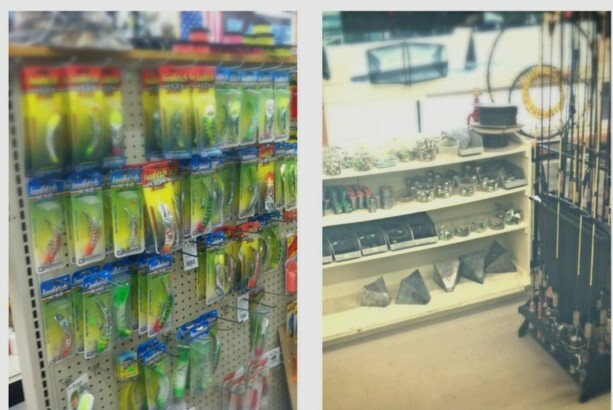 We have some using soft beads, lures and jigs also. Check out our stock! Spring Break for Oregon is a good time to fish and crab! 03/07/19 Water is low and clear so adjust to the changes to darker lures and jigs. Sand shrimp and eggs have been good with their scent.We have fewer on the river so space is giving a better float. We could use some rain but sun on Saturday and Sunday. We have had the extreme weather the last few days with rain mixed snow and hail! It will be nice to have a few warm days. We got more stock in so we have a good supply for you to check out. 02/14/19 Happy Valentines! Saturday the 16th and Sunday the 17th FREE FISHING,CLAMMING & CRABBING! Great time to take your sweeties out fishing! Water has been high as it came up to 11.25 Tuesday. Today the river is still high at 7.98 but it is falling. The color is looking better and better. Friday will be a good day to fish up high and Saturday ought to be even better. Bank fishermen today caught one at the mouth of Three Rivers. I'm not sure it was a keeper. So fish are most likely to be coming in.....Bring on the winter fishing!! 01/24/19 Nice days! Nice Fish! Water is great! Color is great! Seen some nice fish! One nice fish caught. a 20 lb. got to go to the hatchery today. Some took home some nice size steel head. River levels 6.96 will come down slowly each day till it levels at about 6ft. Upper river down to Three rivers has been the norm. We look forward to great weather through next week. Come get a shuttle and save gas on more than one car. It also gives us all more room for boat trailers. Park as to not leave too much space between rigs, yet some space for others. Friday through Sunday we are opening at 6:00am and weekdays at 6:30 till 4:00. Extended hours will happen as we get closer to Springer season. 01/19/19 Well it didn't come as high as they predicted! It came up a bit higher! We had one shuttle from 4th to farmer. Above 1st the water was cloudy with a bit of green and below 1st was chocolate. As the day wore on the river has been on the down and looking better all the time. Despite the muddy color at Three Rivers a nice hen was caught and a few at the hatchery also. Not a lot of fishermen out. By morning the rivers should be pretty good. One nice 29" hen was caught up as high as the fire hall the day before. It will be good to see what the river has for us in the next few days. 01/18/19 Looks like rain for a few days. The predictions look like quite a storm! Our guess is it may not come up as high as they say. Very light on the river. Color has been great and fishing from Blaine down to Cloverdale. If we get the heavy rains as they report, we will probably fish the higher areas of the river. It could color up enough to make it muddy. If the rain just remains steady it could just slowly rise and not color up too bad. We have seen fish caught most everyday. Some have had to work hard for them. Our Winter run will be heading here in the next few weeks and should be good. Last year was great! For those that are die hard fishermen, they will continue to give it there all for the fish we have been blessed with! 01/06/19 Keep on fishing! Weather has been just enough rain to keep it at a good level. Quite a few fish being caught. Had some bad wind a few times but not any damage to the river. Boats floating from the upper river as high as Blaine. A pontoon went from Niagara a few days ago. Most fish from 4th bridge down. Sea lice on some today. Nice to have a fishing season! Sand shrimp when we can but have has quite a few on soft beads and lures. 01/01/2018 HAPPY NEW YEAR!! Hope you all had a great Christmas. Since Salmon was closed it had been slow a bit. As of the last 2 weeks fishing for early winter steelhead has picked up. Rain has helped! We have seen some larger steelhead weighed in. 11-15lb. River levels have been good and the color has been great. Be sure to check out your licenses on line or an app on your phone. Guides will be alerting to clients to be sure to get them ahead of trips. We hope to have one days very soon for the winter steelhead season . Check out the updates on the regulations. Welcome to 2019! 12/09/18 Drifting the river! Some early winters are being caught. The run is not a big one but it is tying us over till the first of the year. 12/01/18 Finally got a picture of a nice early winter hatchery steelhead! Rain of late has brought up the river and then come down a bit several times. Nice to have some shuttles also.We have had a few float from as high as 6th bridge. This should continue for some time thanks to water heights. Weather has been off and on rain, off and on sun with a bit of fog thrown in. Get away from the hectic season to just relax and do a bit of fishing! 11/29/18 Rains have brought out fishermen! Our early winter fish are beginning to show up. More rain to come Friday and Saturday. Sunday-Tuesday looks to be nice. The river came up and cleared a lot of the debris. New 2019 Regulations are out so come on by and pick one up. Now for 2019 you can go online and purchase ALL fishing, hunting and shellfish licenses and tags. An app for your phone or you can print out from your computer will be your licenses and tags. I you do not have the ability to do either you may go to participating stores that can do it for you. Be sure you are prepared before you go out! 11/19/18 RAIN COMING!!! Weather forecast shows Wednesday thru at least Sunday rain. That should help with fishing for the Thanksgiving Holiday. Several out floating the river for steelhead. No change in the Salmon closure so steelhead early winters will be the main fish to catch. Bring the family out to enjoy the coast while your enjoying the holiday and may all of you have a safe holiday! we hope to see you soon! 11/18/18 Some of our early winter steel head should be showing up. We have an early run at the Thanksgiving time that will go into December. 11/06/18 Steel head fishermen are out. Thanksgiving usually brings in some early winters. Do your rain dance for a bit more rain! SALEM, Ore.—Fall Chinook fishing is restricted effective Nov. 1, 2018 for coastal rivers in Oregon’s Northwest Zone. Restrictions will be in place from the Necanicum River in the north, south to the Siuslaw River. Necanicum River - 12th Avenue Bridge in Seaside. Nehalem River, mainstem and bay - Confluence with North Fork Nehalem. Nehalem River, North Fork - Confluence with mainstem Nehalem. Miami River and Kilchis River - Highway 101 Bridge. Wilson River - Yellow ODFW sign posted near Makinster Road at River Mile 1.1 (in tidewater). Trask River - Highway 131 Bridge. Tillamook River - Yellow ODFW sign posted 100 ft upstream of the tidewater disabled angler platform. Nestucca River - Woods Bridge. Little Nestucca River - Highway 101 Bridge. Salmon River - Marker 200 ft. below hatchery weir. Siletz River - Strome County Park Boat Ramp at river mile 16.3. Drift Creek (Siletz) and Schooner Creek - Closed from mouth upstream. Yaquina River - Cannon Quarry Boat Ramp. Alsea River - Highway 34 Bridge below Taylors Landing. Drift Creek (Alsea) - Closed from mouth upstream. Siuslaw River - Tiernan Boat Ramp. Lake Creek (Siuslaw) - Closed from mouth upstream. 10/23/18 Having trouble with picture printer! Rain is coming....Hopefully we will see some water in the river. Have had some folks float and get a few steelhead and jacks. Not much area to float! Tidewater is still fishing till we get some rain. Cross your fingers!!! 09/16/18 The summer has flown by. Events happening at the shop kept us busy so as to not be able to keep up with posts. 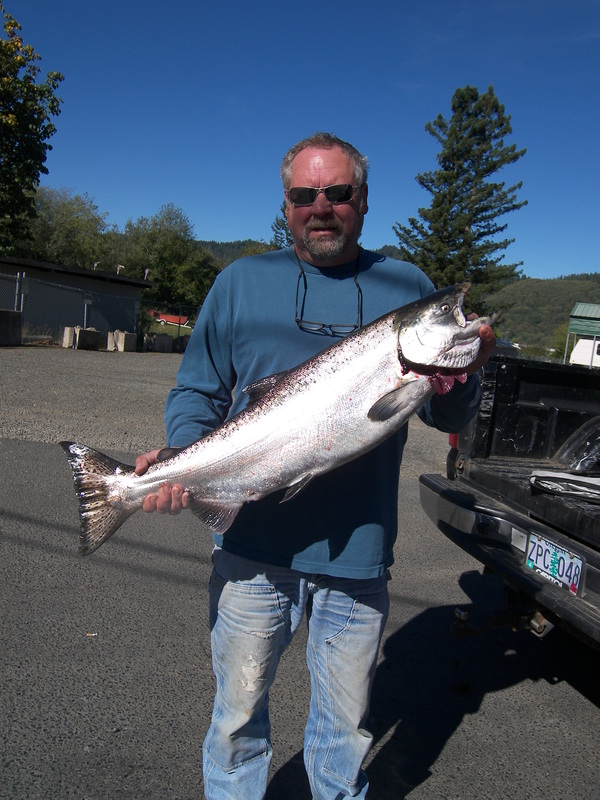 Fall Salmon fishing is concentrated in the tide water area and reports are coming in. The Columbia has been closed so many head our way. Sand shrimp, tuna bellies, herring and eggs have all been used. Some prefer lures and there are many to choose from. Nestucca River is open for salmon fishing but we need the rain to shoot them up. Till then many troll the pacific city bay. We are seeing many old faces back for this season and some new ones too. We have our new Hats in for the BIG FISH CONTEST. They are really nice even if you don't fish! $500.shopping spree for our winner! Sign up before you go out to catch the BIG one. You get 5 tries! 06/23/18 Quite a few fish caught here lately. Some are using yarn and shrimp tails and have found it to be effective in the low water. Fish bags and ice....now we know there are some fish. Water is still quite low. The bit of rain we got this morning gave the fish some refreshing temps. Hebo Lake has been full for camping and families are catching. 06/21/18 What a difference a little rain makes! A few fish caught today. not enough rain to raise the river but it did give new life to a few fish. Sand shrimp seem to be the favorite but lures have been working for some. Nice low tides for later next week for clamming. Get some fishing time in before!. 06/18/18 Great Father's day weekend! Fish were caught and the weather was great. Water is still low but those that were here had a few fish and fun with dad. Still some time to get some fishing in! Make it happen! Come down, camp fish and even clam! 06/13/18 Rain has brought in more fish. FATHERS DAY is coming! Saturday is the Rhodes Pond Fin Clipping. Good time to bring DAD and the whole family! Weather will be nice and BBQ caps it off. Sunday is Fathers Day. Bring your father out to fish. 06/07/18 Looks like rain this weekend. Get your fishing in while the water is here. Ground has been dry and much of it will likely soak in. Spring Chinook and Summer Steelhead have been caught, it has just been a little more challenging with lower water. Remember Three Rivers from the weir to the bridge is for youth 17 and under. NO ADULTS! Kids have to be able to cast and retrieve on their own. Adults accompanying youth can help tie . this is an opportunity for youth to have a better chance fishing and catching without having to fight for a space alongside of adults. The Nestucca has been doing most of the fishing in the lower areas. Please take trash with you and be sure to keep angling fun for everyone. 05/29/18 Great Memorial weekend weather! Quite a few fish were caught. Folks out camping lake fished and river fished. Travelers from all over kept the weekend busy. Now it is back to work for most folks. A few floated today in pontoons and bank fishermen already hooked a few. Thursday through Sunday weatherman says we should have a bit of rain. Too soon to be for sure! Hope they are right! we need the rain for the rivers and the fish. May be a bit soggy for campers so bring a tarp! This is the weekend coming up for FREE fishing weekend and Saturday the kids fishing event from 9:to 2: at Hebo Lake. Get ready! summer is coming! 05/22/18 Get ready for the Memorial weekend! Salmon and steelhead are slowly coming in. There are those that are doing well to find them. Water is low but we have had more picking up ice to take their fish home. There have been a few caught in tidewater by fishermen and a few seals. Sandshrimp and eggs have been the favorites. A few fish with lures. We would like to get a few more pictures to show there have been fish caught. 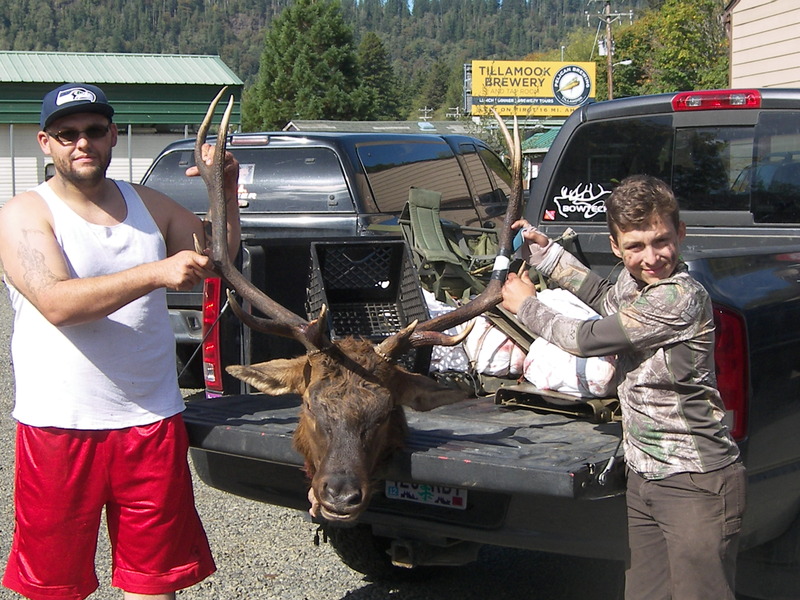 Hebo Lake has still been popular with most getting some good limits. 05/14/18 Had a busy Mothers day weekend. Fish were caught and a few took mothers fishing. Seeing a few more fish. Now we need a bit more rain. Weather has been warm enough for Springer to make an effort to go up the lower river. Tomorrow is the last day for Controlled hunt applications. 04/30/18 1st Spring Chinook brought in, rumors are over. I'm sure the numbers will pick up as our weather warms up the river. Be sure to check regulations for Three Rivers on hook size and leader line. As of May 1st-July31 ODFW have made a TEMPORARY rule for two rod validation on the Nestucca River and Bay for Spring Chinook or Hatchery Steelhead. This includes The Little Nestucca also. One rod only for other species in these areas. Two rod validations are available for $24.50 for both residents and non-residents. Kids under the age of 12 do not need a validation with a second rod. Regulations for limits still remain the same. Check the ODFW website for more info. 04/29/18 Steelhead still being caught. River is at a beautiful color and height. Few floating and enjoying the river to themselves. Still rumors of Salmon.... Soon! Snow is melted. Temperatures in the river should be coming up with the rain and next weeks sun. What few early Salmon that could have been caught have been kept a secret or just excited fishermen that lost a good one. May and June are the best months for salmon so get your rods ready! UPDATE: Several nice steelhead caught today. Both winter and summers. Great transition! 04/24/18 River is down and beautiful. We have had a fair amount of fishermen on the river over the weekend. the water has come down and the color is great. No pictures of Salmon quite yet. Snow melt has kept the temps of the river cold. Still seeing some winter steelhead, mostly late ones or downers. This nice warm weather should bring up the temps and the salmon should be here anytime. Many are still fishing the lakes and we have quite a few minus tides good for clamming. Nice to see a bit of summer! Warm rains this weekend shouldn't keep away fishermen from trying for salmon. 04/15/18 Rain! Rain! Rain! Spring is here! Lots of rain and crazy weather days. Hail, rain and the next sun. No Springers yet, Enough rain to send the winter steelhead up. Should see some Summer steelhead. Already had one report. The water looks good for now, just needs to come down a bit. I have a few that are fishing hoping to be the first to hook a salmon. sharpen your hooks and get your line ready. It won't be too long! 04/07/18 More rain due and wind on Saturday. Not so bad that it didn't keep away a few boats. Yesterday, Friday, was the first Summer Steelhead caught. April 9th was the earliest We had a picture of one in the past. 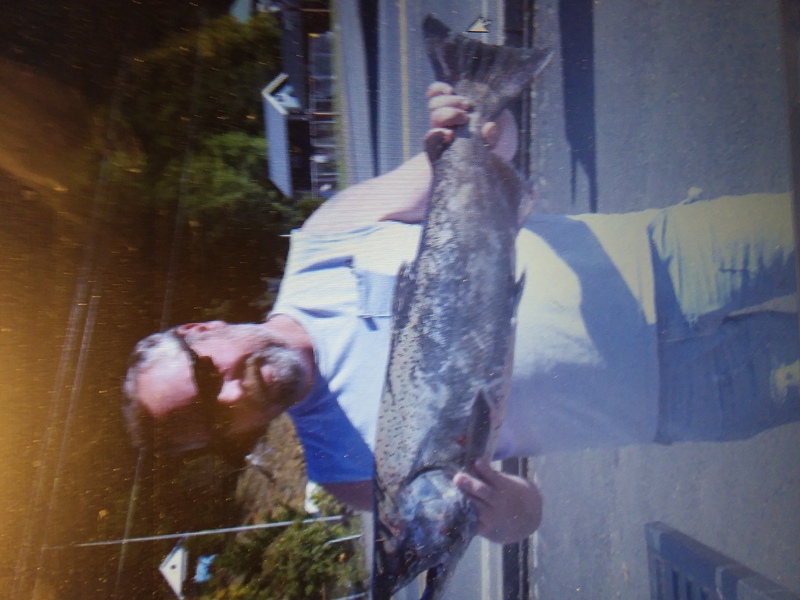 Spring Chinook soon.....Already rumors.... No rumors to the trout caught in Hebo lake. Great fishing for the young. Watch for events involving the kids at Hebo lake as we will post them. Spring break over and now the season is soon to come for travelers from all over arrive to see the Oregon Coast. Book your Spring Chinook trips now to get in on the river drifting. Call Pat Mornings and have a couple of days figured to make sure one will be available. Springer is the best! 03/27/18 Spring Break fishing! Not too much pressure on the river now. Fish are still being caught. ODFW released some Smoltz so we have some eager ones heading out to return another day, so watch your bait! Hebo lake has opened the gates and the stocking list is on the calendar of events. Good weather is now for Wednesday and Thursday. River hasn't made any dramatic rise with this rain so it hasn't blown out. 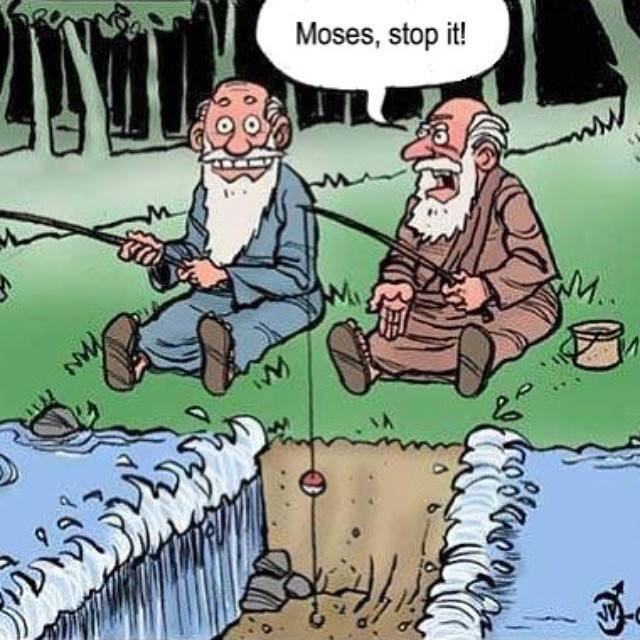 Enjoy the fishing whatever you decide to try! 03/20/18 Beautiful days are coming to an end. Wednesday rain and through the weekend will help bring in fresh fish. Not as many boats as weeks past so the pressure is off and boats are enjoying the space. Fish are being caught with some keepers in the bunch. We will see a few more weeks of steelhead. Not going to be the numbers as in earlier season. We look forward to the Spring Chinook that will show up and then the summer steelhead. 03/17/18 Happy luck of the Irish day to you! Not too many boats like the last couple of weekends. Still fish being caught. A little more challenging with lower waters. Adjust your methods to beads and darker colors. Fish into riffles and be stealth. Not a lot of rain today to bring up the river but showers graced out heads and shoulders. Lower river fished the most but those who go up river need to be in pontoons. Nice hen caught today! Note: fishing pole found today and if you think your the one who lost it give us a call and describe the area and the rod. 03/08/18 Weekend was slam'in! Great week with lots of fishermen and fish. It Rained overnight and the wind picked up with a force that chased the few boats off the river but not before a few were caught. Wind met the guides and took over the river. Wind has died down now and rain is much lighter. River took on mud from the creeks and so our river is off color. The prediction backed off and so if it remains lighter rain it could straighten out a bit. A little bit of color won't hurt but help. Lets just hope it clears up enough to hide from the steelhead and makes for a great weekend again. Remember this is the weekend for time change!!! so set your clocks Saturday night to SPRING forward. We loose an hour! This rain should bring us more area to fish and fish to catch. 03/01/18 March coming in like a lion. River has come up and off color. Got up to 7.67 and is coming down at just under 7.4 ft. It should start to be fishable possibly Friday up high. Best fishing start on Saturday around 6.5. I should be a great weekend. 02/25/18 Well, 6.04 river level! NOA backed off the earlier prediction! How many times have they predicted high and it didn't. Over night there was no rain till morning. Only a few fishermen out and most are fishing high. We have had a wind pickup that might have chased a few away, but the water is beautiful no blow out. We'll see just how the catching will be. Looks like the rain will just be on and off, so bring a rain protection! 02/24/18 A little slower today yet a few fish weighed. Yesterday the river was filled with boats and lots of fish caught. Today not as many boaters and a little less caught. NOA River levels project Higher river levels for the Nestucca. Rainfall tonight so another flush and fresh fish on the down. We will see if the river blows or if fishing the higher area of the river with maybe a bit off color will be good. Sand shrimp/eggs will be ideal and of course along with scents. Bright colors on lures and jigs. Monday, Tuesday on the down and Wednesday? well I heard snow again but how many times predictions and then a missed opportunity to fish! We'll wait to see! Keep on fish'n! 02/19/18 Had some nasty weather over the weekend! Fish were caught despite the wind, hail, rain and snow. Seen some nice fish. Today was beautiful sunny day with little wind. River came up over the weekend and is on the down. Boats on the upper area and those that went from 1st bridge to 3 rivers. River has greened up nicely after the slit wee saw over Saturday and Sunday. Winter is not over yet and neither is the fishing! 02/14/18 Hope you treat your loved ones to a great Valentines. As for fishing, everyone seemed to get a few. No pictures to post but saw a real nice, maybe 18lb. Weather was crazy, one moment rain, then sun and then hail. Rain has brought the river up some but not enough to throw it out of shape. Sounds like over the weekend we will get more of the same. Check out the stocking list for our local lakes on the angling community drop down and then community calendar. You may have to scroll down but all the new week stock dates are there. This year they are stocking more of the larger fish. 02/13/18 Nice weather for fishing. The river may be getting lower but the fish are still coming through. Dark jigs, lures and small bait. Fish the deep holes and in the white water riffles. Time to be stealth! There are fly fishermen (and women)out as well as bait fishermen. We just got in some thingamabobbers for those that have been asking. Bring your sweetheart out for a day on the river, Valentines day is Wednesday. If you can't make it during the week, remember this weekend is FREE fishing weekend! 02/06/18 Nice day on the river! Fishing from above Moon Creek to Cloverdale. Saw some nice catches of chrome fish. Thanks to some of the guides that take fish in fish boxes up to the hatchery for the broodstock. Nice to see the weather getting better. Enjoy it while we can. Sure to be more rain soon enough. There will be FREE fishing February 17th-18th Presidents weekend. Free to crab and clam also. During those two days, no fishing licenses or tags (including a combined angling tag and Columbia river endorsement) are required to fish, crab or clam anywhere in Oregon. Although no licenses or tags are required, all other regulations apply including closures, bag limits and size restrictions. 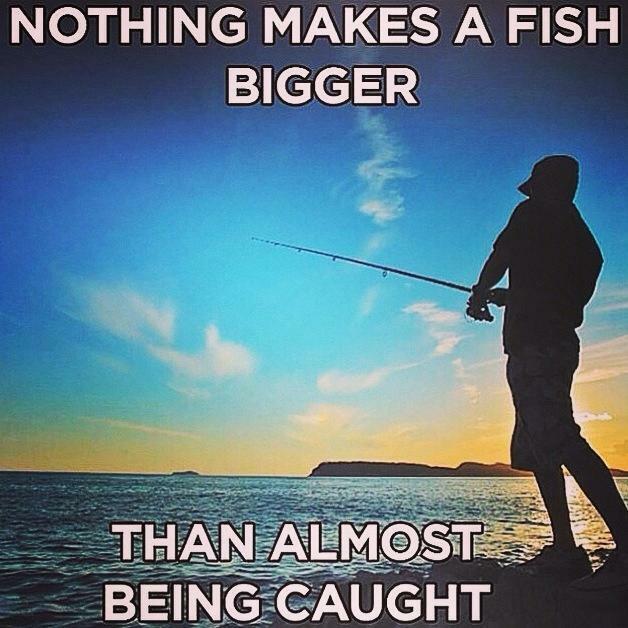 So bring a friend that has never fished, crabbed or clammed and have a great day! 02/05/18 Fewer fishermen for the first of the week. Still pretty busy from Blaine to Cloverdale. Many went back to work or called in sick after the Super Bowl win! Weather is better and fish are moving. Guides have been helping with Broodstock for the hatchery and we thank them for their efforts to help. Please remember to bring ones for parking when you come. 6th slide is private property and all they ask is for $2.00 for launching and parking. $1.00 if your just bank angling. $4.00 for 3 Rivers parking/access as the same for Cloverdale. Keep all trash so our rivers stay the clean rivers we love to fish. 02/03/128 Ok...I know...Not quite have the picture thing! (fixed it!) Fishing was pretty good for most. There were some that didn't do as well. That is fishing! At least the fish are showing up and the river is probably going to be around 6.5 Sunday. Could be a short day for football fans so non-participants will have the river to themselves for the afternoon! See you in the morning! 02/02/18 Water is coming down and weather is clearing up. We have begun to see a bit more activity on the river. Fish are showing up in fair numbers. It should only get better. So if this weekend if your not into football (or you are and figure you know who will win! )wet your line on the Nestucca! 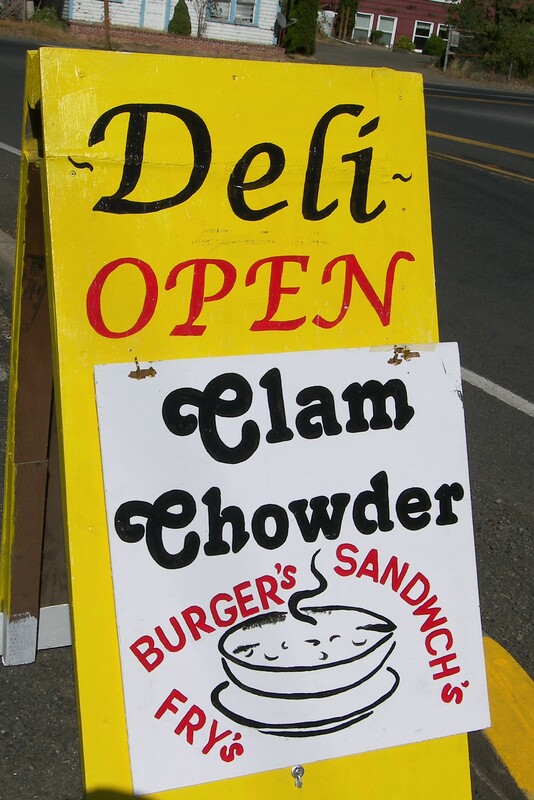 Then come in and get a bowl of chowder and some beer! 01/30/18 Looks like river levels are coming down. Wednesday through the week end should be river floating fishable. I know we are all just a little tired of all the rain but this should start us off for the winter steelhead. The few bank fishermen have caught a few in Three Rivers. Some bank anglers have tried the pullouts up Blaine. Most of the fish will travel up the Nestucca. Good time to put in a drift boat on the upper river. Sand shrimp and eggs have been good in this high water. Lures and jigs in bright colors will be good as well as soft beads and plastic worms. Look forward to seeing some bright fish and smiles on a few fisherman's faces! 01/19/18 Rain and weather hasn't kept those seeking the winter steelhead. Boats floating anywhere from Blaine to Three rivers. Any time we should see winters in better numbers. The best months are the end of January and into February, March. Sharpen your hooks and get ready! 01/13/18 I think we've got it! Thanks to a great guy who helps us out. Yes, We are back on the web! We had a few boats out today. It should bebe a be an even better height Sunday. Weather has been very warm for January. Now lets see if any early winter steelhead have been showing up in a few more numbers. Just get out and enjoy the day! Rain will be back before you know it. 01/09/2018 New year! New computer and having issues getting our web onto the new computer! On the old one as to be able to let you know we are working on the situation. Fishing has been fair. We are in the transition of the end of the Thanksgiving-Christmas steelhead. Some are fishing the upper river to find the first of the winter steelhead run. It is still a little early but a few early fish have come in. We look forward to a better season weather permitting! We have some really great sand shrimp, eggs, fishpills, and so much more. Get ready for a great season! 11/27/17 Hope all had a great Thanksgiving. River is coming down and looking pretty good. Weatherman says good weather every other day alternating with rain. The lower river is starting to see steelhead. Three river and the three rivers boat launch area are seeing bank fishermen. One boat out ,but that should pick up as the river drops. It should be under 7ft by morning. We had a great sunny day today and we are ready with shrimp! 11/10/17 Bright ones coming in. Some of the boats and bank fishermen. Hope this continues as we are expecting rain all next week. Starting to see a few early steelhead .Water has been beautiful. Good Luck fishing and to those hunting! 10/28/17 Been a busy few days after the storm and the water came up. Nice to see some of you we haven't seen in awhile. Fish are being caught anywhere from 1st bridge to Cloverdale. Sand shrimp, eggs and tuna bellies are being used, as well as lures and quickfish. Take outs have been very full. Please park so others can fit in too, and be sure to bring one's for the parking and access fees. Everyone seems to be enjoying the weather and just being out on the river! Have Fun! 10/04/17 Good day in tidewater. One fellow had his limit mid morning. I heard from several it was a good day.76 more recycled summer steelhead in addition to the 150 recycled last week. Hebo has 80 more stocked trout and South lake and Town lakes have been stocked too. 09/23/2017 just a note we just received a large shipment of the Simon 3 1/2 spinners made by Hawken fishing. I have never used them but they seem like they are all the rage ,we have been getting requests for them every day. Now we have them! 09/23/2017 Salmon fishing is picking up dramatically. Tide water has been hot for a few days, seems like bobber fishing and spinner fishing have been pretty good. The pro guide squid stingers have been darn hot, as has the traditional blue tip Colorado spinner. The rains definitely perked up the river .We have had a few shuttles the last two days and ,by golly, they are catching a few nice salmon. 09/19/17 Lots of rain! Fish are moving. Fish should be moving up in tidewater into the Woods area. Some will make into the lower freshwater areas of the Nestucca. They will be fish fish that have been waiting in tidewater. The rains will soak into our dry ground and levels may not stay at the height they are. Our first flushing pushes them up. More rain to come will bring in the fresh fish. Spinners, bait and jigs. Everyone has been waiting for the rains that clean the air, calm the forests and bring in fish! Our BIG FISH contest has been going on. Come and sign up before you go out and catch. Good luck to all! 09/08/17 Had some rain. Not enough to fill the river but it did refresh the air and cool things down. Summer steelhead still being caught in the river and a few salmon in tidewater. Getting darker earlier? or is it hazy sky? Get ready! Fall is here! 08/28/17 Fall fishing started in tidewater. 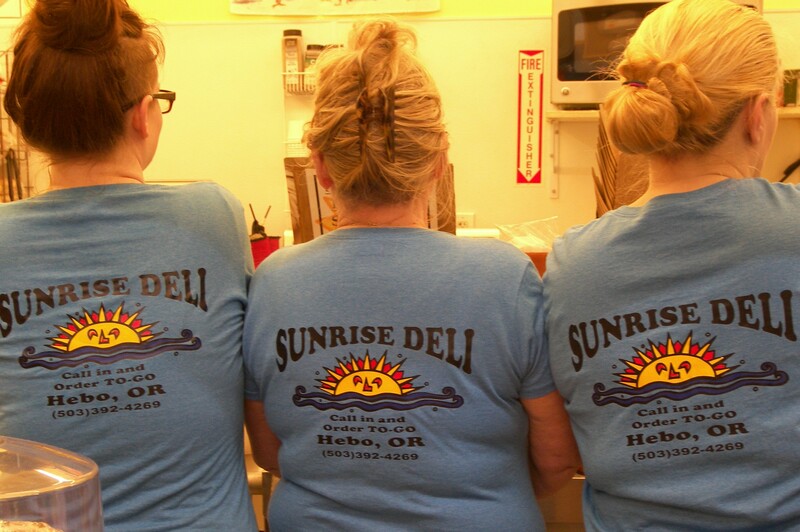 We are carrying sand shrimp, tackle and great grab breakfasts as you head that way. It is just starting and as we go through the month of September it should get better. We have started the BIG FISH contest. Enter before you get the big one! You have 5 chances to bring that one in! Details are at the shop. It is a little early for the upper tidewater but we will do shuttles from Cloverdale to Pacific City for those wanting to look for Fall Chinook. There are those fishing the Nestucca with bait and some with flies for stealhead and trout. Any time Blue backs will be showing up. We do need some rain eventually to move the fish up. All will happen in good time. Good fishing to all! 07/20/17 A bit of rain to make things fresh and cool. We are seeing more summer steelhead being caught. Pontoons in the upper river and a few boats anywhere from Farmers down. Good time to check out the river and take notes on holes for the coming fishing months when the water is higher. ODOT has completed the restoration of bank protection at Farmer Creek Wayside for now. Project for the re-do on the bridge is not for several years yet. 07/07/17 Some late Spring Chinook coming in. Chrome bright late ones! We are seeing quite a bit of summer steelhead too. Fishing for some has slowed down but those that are diligent seem to pick up a few. Water is low and a good time to check out the holes in the river for later fall and winter fishing. Fish stealth with invisible line. Quite a few have been using lures like blue fox,buds ect. The flash in the river. Fish hold up in the riffles. Check trout stocking dates under calendar events drop down. Family Fishing and Free fishing weekend are also posted.